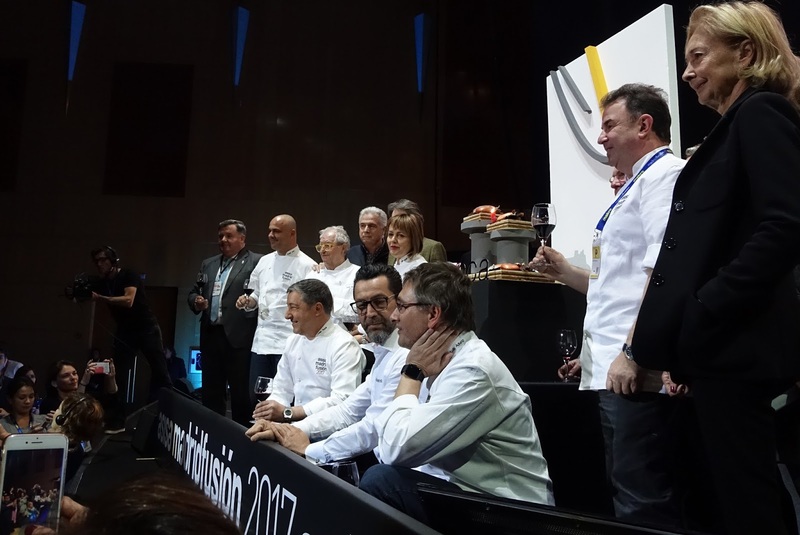 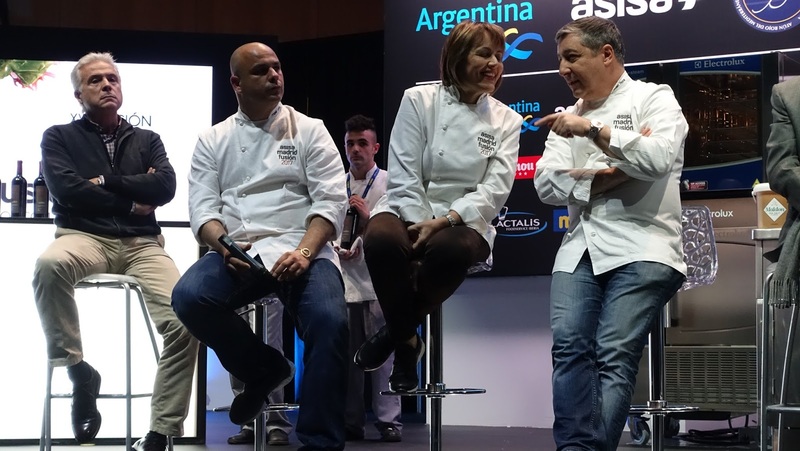 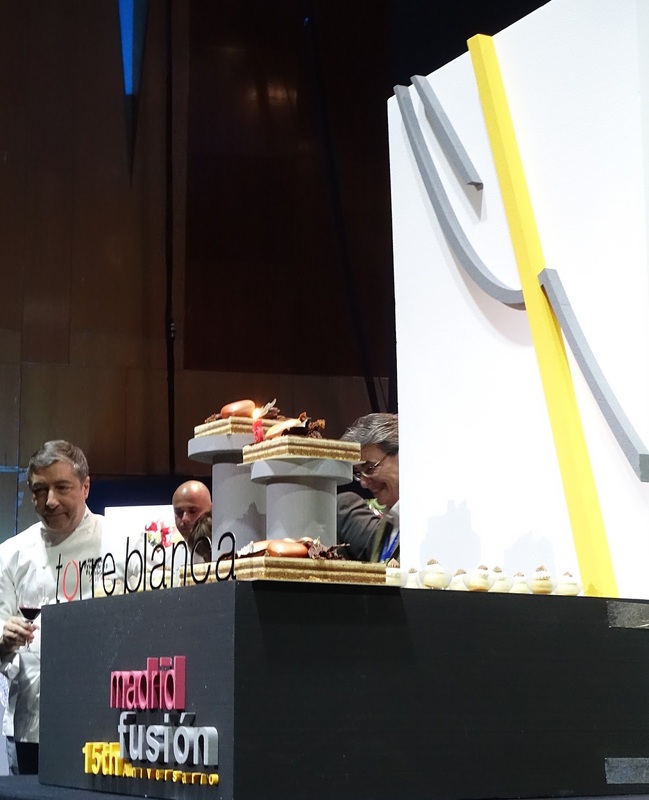 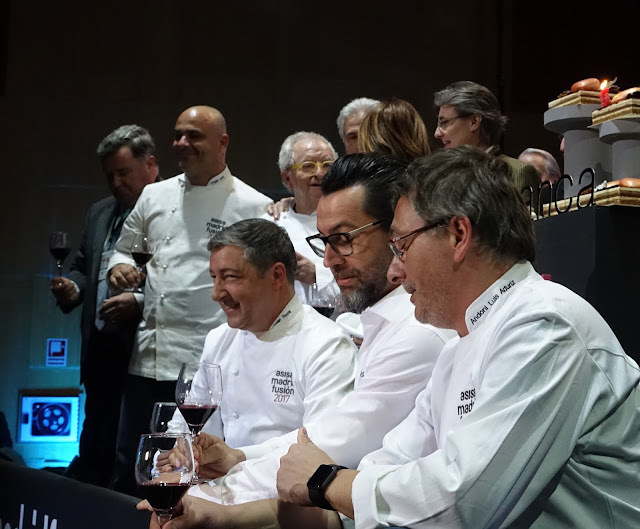 Star chefs Pedro Larumbe (Restaurante El 38 de Larumbe), Ángel León (Aponiente), María José San Román (Monastrell) and Joan Roca (Celler de Can Roca) on stage waiting to be interviewed during the 15th Anniversary Madrid Fusión celebration, Asisa Madrid Fusión 2017. 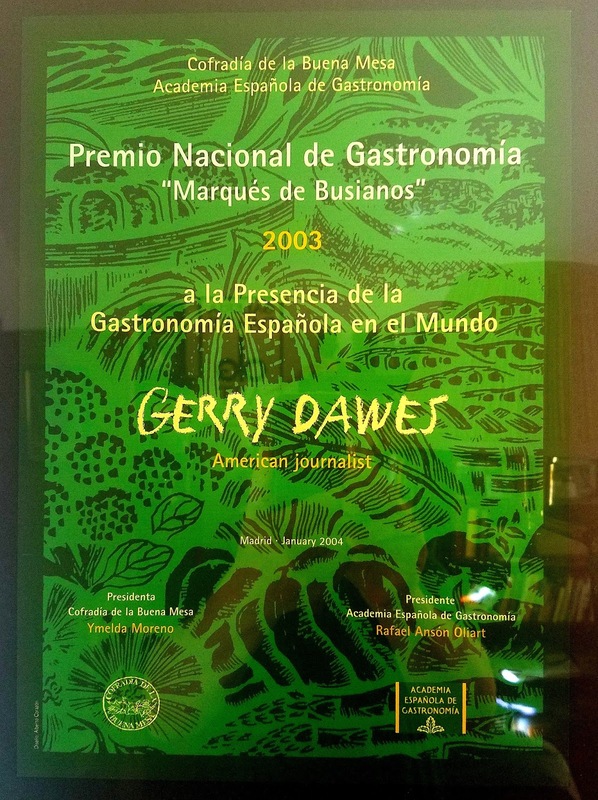 Photo by Gerry Dawes©2017. 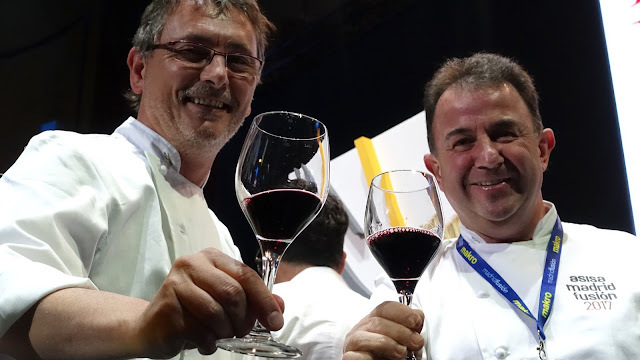 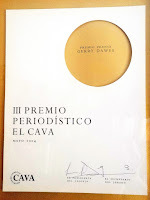 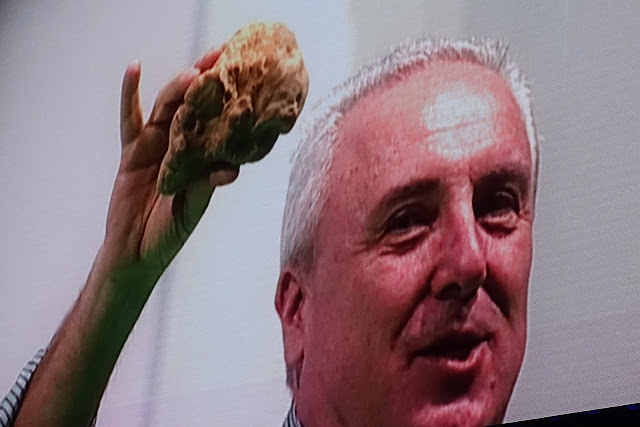 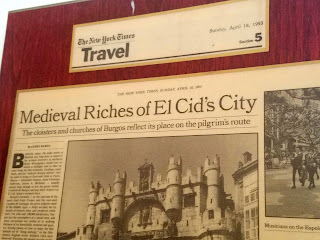 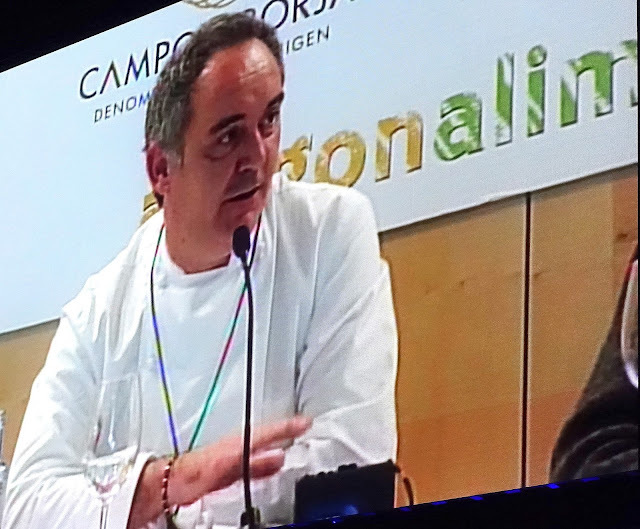 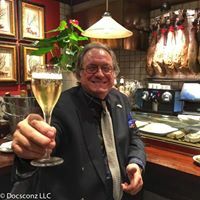 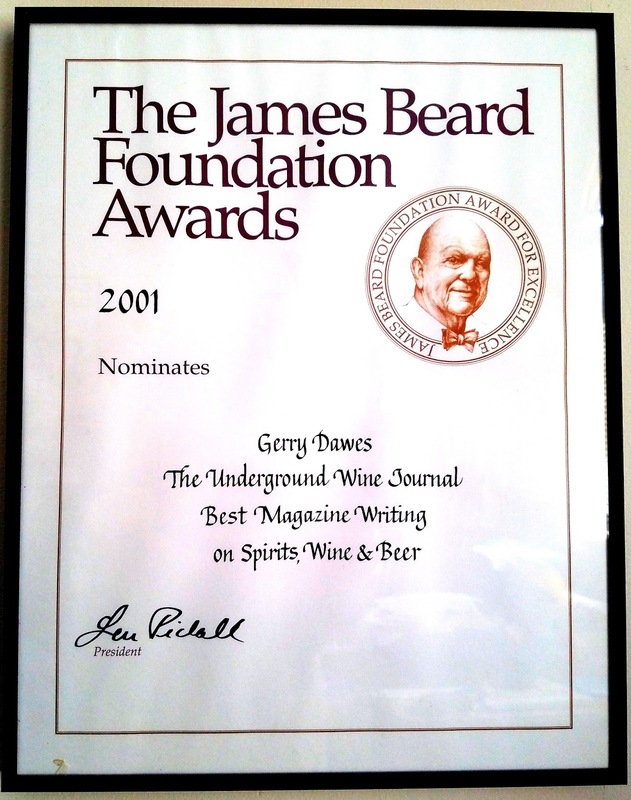 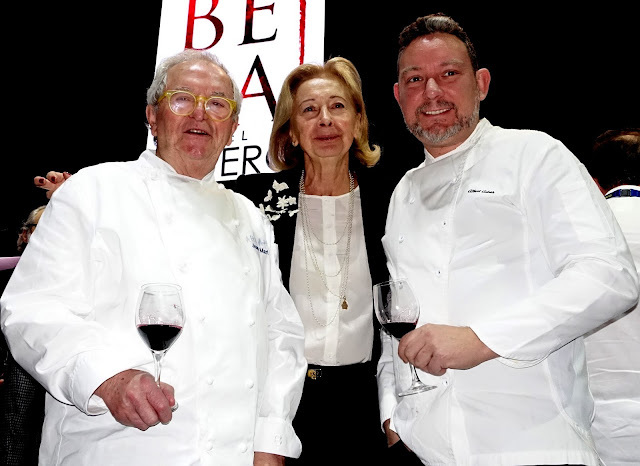 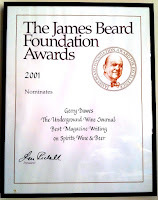 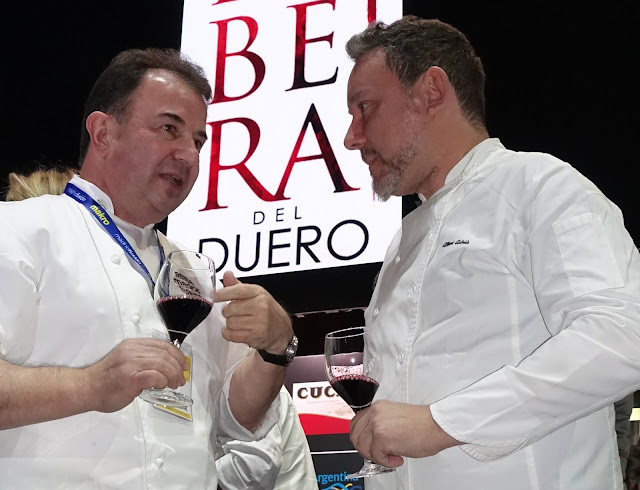 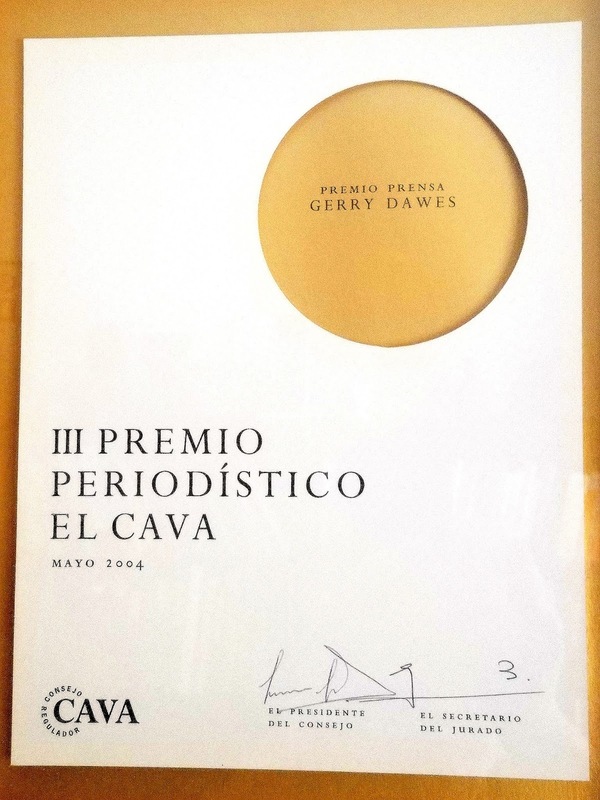 ". . .That we were the first to introduce American readers to Ferran Adrià in 1997 and have ever since continued to bring you a blow-by-blow narrative of Spain's riveting ferment is chiefly due to our Spanish correspondent, Gerry "Mr. Spain" Dawes, the messianic wine and food journalist raised in Southern Illinois and possessor of a self-accumulated doctorate in the Spanish table. Gerry once again brings us up to the very minute. 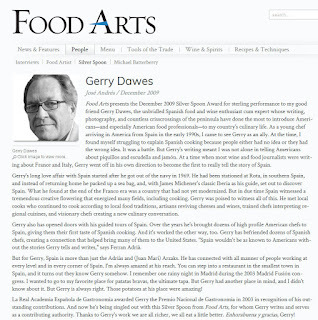 . ." - - Michael &riane Batterberry, Editor-in-Chief/Publisher and Founding Editor/Publisher, Food Arts, October 2009.